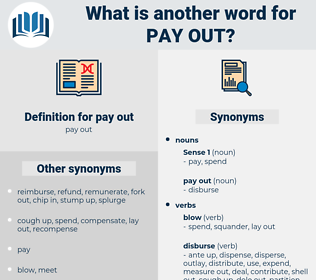 What is another word for pay out? come in, come, do well, save, arrive, succeed, hoard. 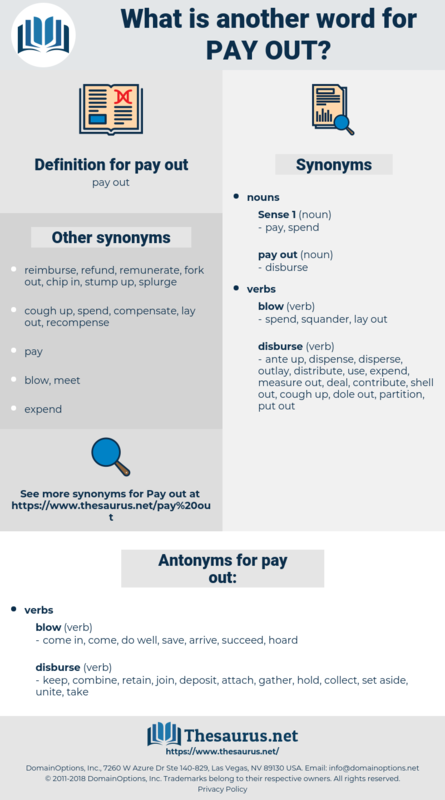 keep, combine, retain, join, deposit, attach, gather, hold, collect, set aside, unite, take. maintain, receive, preserve, withhold, refuse, disarrange, store, refrain, conceal.